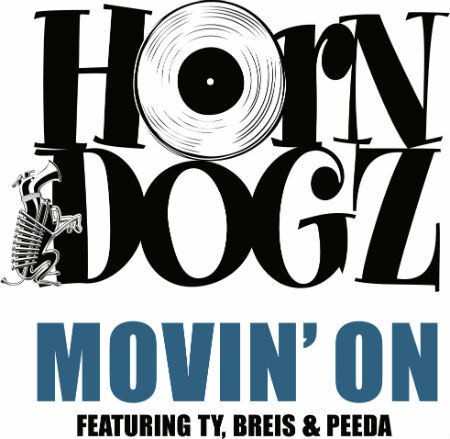 In anticipation of the new full-length scheduled to drop in the Fall, Uptone Records proudly presents single “Movin’ On” by Horndogz featuring Ty, Breis and Peeda, out now via Digital download and on limited edition 45 + CD (which includes the Horndogz remix of the single and bonus track “La Trompeta O Yo”). “Movin’ On” is a Summery blend of funk, soul and hiphop, with warm, emotion filled vocals by Paris-based Liberian singer Peeda, and raps by UK mcs Ty and Breis, the latter now being a stable element of the band’s live sets around Europe. If this is any indication of what the album will sound like, you’ll be sure to hear much more of the Horndgoz!